Esri president Jack Dangermond will provide an update on the latest innovations in ArcGIS, new patterns in cloud GIS, and a vision for the future of GIS. The Esri cloud story has been half told. Basically it’s a concept that still needs to be flushed out. I’m always waiting for the new ArcGIS architecture to come down the road where Esri can really start treating “ArcGIS” as a true scaleable hosted technology and not just some enterprise server software that happens to run on some IaaS platform. The “new pattern” as Esri sees it is probably in this article written by Victoria Kouyoumjian. The problem with this vision is that I’m not sure ArcGIS.com as it exists today is anything close to something GIS professionals (the ones that use Esri Software) want or need. ArcGIS.com might “grow the brand” for Esri, but it keeps them stuck in the past having to support the world largest COM ecosystem out there, ArcGIS. We’ll just have to see what happens when Jack takes the stage in about 36 hours and tells us what we need to know about Esri and hosted GIS. Personally I’m still hopeful at some point Esri will figure out a license model that lets us at WeoGeo integrate their products into our infrastructure that doesn’t cost $40,000 an instance (we scale our servers on Amazon to the point we could never afford to pay that kind of license). ArcGIS.com is a smokescreen for Esri to keep talking about hosted GIS until they announce their new ArcGIS backend. For all we know, ArcGIS.com is the basis for this new ArcGIS that scales, works on non-Windows servers and is priced at a realistic price point. 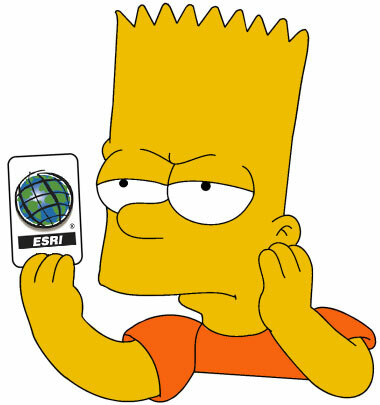 I’d jump at a chance to leverage more Esri technology in our stack at WeoGeo, but for now we’ll sit and wait with the rest of you for whatever this new pattern is Jack is going to talk about. Licensing based on how people were doing business in 1988 doesn’t work in 2012. That’s what the “new pattern in cloud computing” should be telling us.